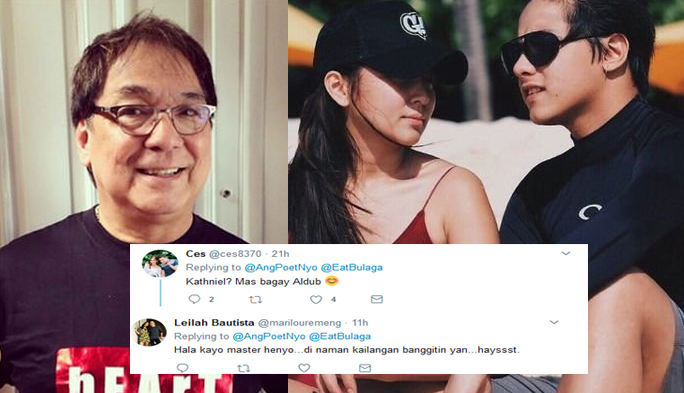 Joey De Leon took to twitter on Wednesday, July 19, to share a throwback photo and tag Kathryn Bernardo and Daniel Padilla in it. 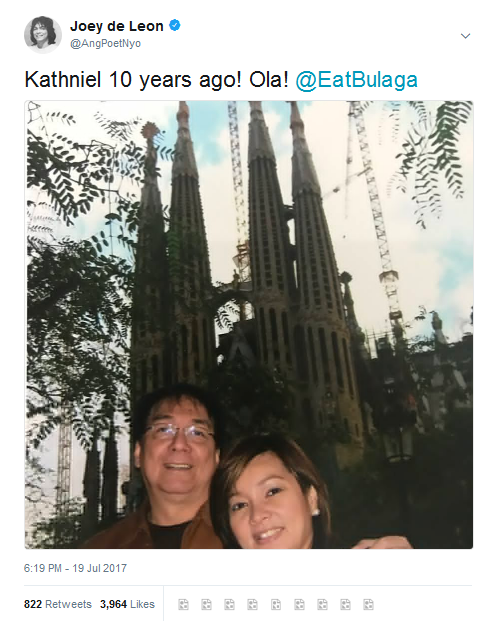 The photo shows the 'Eat Bulaga' host and his wife who were seemingly having a vacation together in Barcelona, Spain. 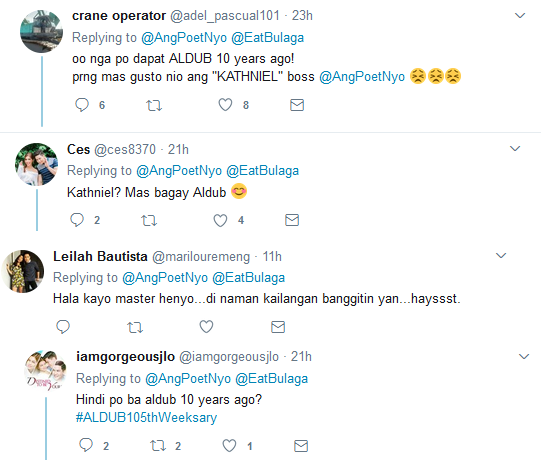 He captioned it: "KathNiel 10 years ago!" 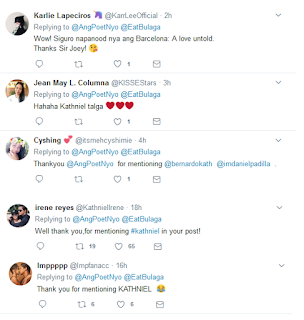 It can be recalled that Kathryn Bernardo and Daniel Padilla had a movie before that was filmed in the country where they were having their vacation. 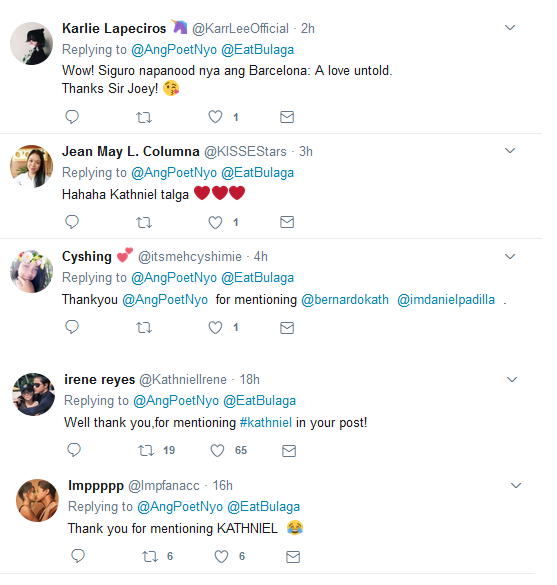 KathNiel fans were quick to react on the said post and thanked Joey for it as it simply means that he also knows one of the loveteam's movie. 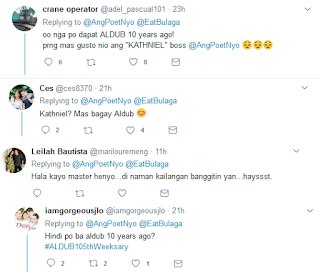 However, fans of his co-stars in 'Eat Bulaga', AlDub, reacted also as to why he was tagging KathNiel and not AlDub.